Learn how to use the latest elements of GarageBand music software to inspire and motivate students to create their own music! 2019 is here ... and GarageBand as a tool for teaching music composition continues to shine as a tool for engaging students of all ages in the process of creating their own music. It doesn't matter how much experience students have with music theory or playing instruments, they can still get "hands on" with GarageBand using iPads or Macs with this program. 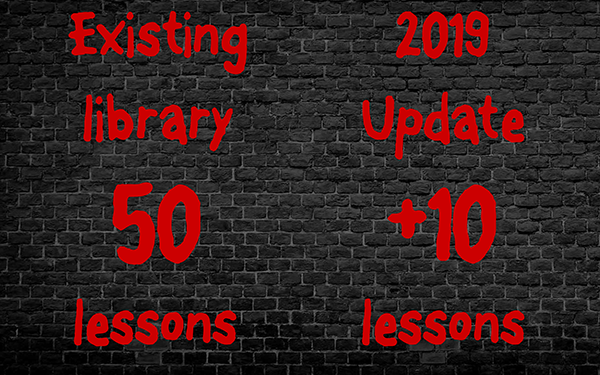 The Fun Music Company has created over 50 lessons for teaching composition with GarageBand, and we are adding ten more lessons to our library in our 2019 update. Click to watch the student video from lesson four - guitar. These student videos range in length from 2-3 minutes to 10-12 minutes for complex topics to introduce. Click here to download the sample assignment page for this lesson. Original course + update session = everything you need! 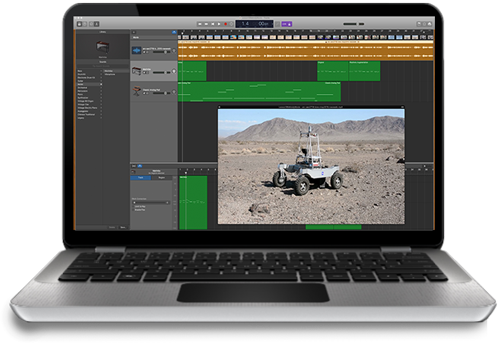 Our existing library of composition with GarageBand course has 50 lessons within it, covering everything from creating basic patterns and melodies on the iPad to creating film scores in GarageBand for Mac. Scroll down below to see the amazing amount of lesson content which is available to you through this program. In our update webinar we will provide you with 10 more outstanding lessons, bringing the total of lessons to 60 in this program, plus in this update we'll also continue to provide frameworks for assessment in this program. Scroll down to learn more and register now. What we will cover in this update session. 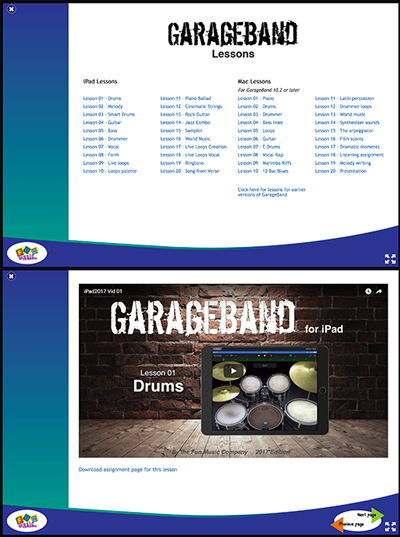 The sound library in GarageBand for iPad continues to expand with new instruments, virtual drummers and sounds continually added in. We show you how to use these to their fullest and help children create their own wonderful music. The latest updates feature new world music instruments, including the Koto, Guzheng and Japanese Taiko drums. These lessons provide not only the composition element, but also connects with cultural backgrounds as students research the background of these instruments before using them in their own compositions. The 2019 updates feature new percussion sounds and percussionist options in the “drummer” feature of both the iPad and mac versions. The update lessons this year will show students how to tastefully use these features to add “spice” to their compositions. GarageBand for Mac’s single greatest feature is the ability for students to score a movie track for themselves. This year we’ll give you access to some great source materials for this and ideas for creative lessons for your students. Register now and you can join us in the chatroom for the live presentation, where you can ask questions and connect with other participants. A full replay will be provided, so don't worry if you cannot attend at that exact time - you still get the replay plus all the new lesson materials. Suitable for participants of the 2017 or 2018 Composition with GarageBand courses. Suitable for beginners or experienced teachers who are new to this program. Professional, well-organized, covered both iPad versions (after latest update) plus Mac version. Really easy to follow along and learn from, and great resources too. As a teacher of special education music classes, I have found the iPad in general and GarageBand in particular an extremely useful tool in my class. We are able to study style, form, composition, world music and more with a device that is accessible to students at any level. These lessons, by breaking each down to several tasks, provide an achievable project assignment that will not overwhelm my students. The student worksheets help them to stay on task and work in a logical order. This was a great training. it was something that I was very interested in, and you have given some great resources to help utilize this technology. A fantastic resource. Loved the new lessons - especially the World music lessons and how to use the live loops properly. My Year 7 and Year 8 (11-13 year olds) really enjoy using Garageband and have learned such a lot about composition over the last 2 years since I fell upon your lessons by accident on the internet. Students learn how to interact with GarageBand for iPad and create their first music using the drums. Students learn the basics of creating and recording melodies using the keyboard instrument. Students extend their knowledge and learn how to use the Smart drums feature. Students are introduced to the GarageBand guitar and learn how to use to to create awesome sounding guitar parts. Students learn to add a bass line to their compositions and learn about chord progressions. Students learn how to use the drummer feature in GarageBand musically. Students learn how to record their voice in audio and add audio effects. 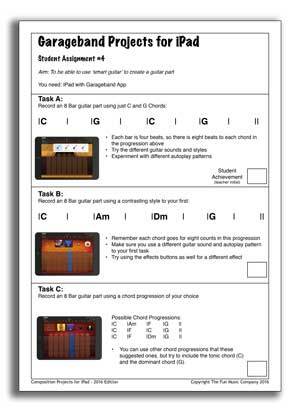 Students learn how to extend the form of their songs and create different sections of music. Students are introduced to the live loops feature and create their own dance style piece. Students construct their own live loops palette to create their own composition. Students create a pop ballad tune using the smart keyboard. Students use the string sounds on the iPad to create three different emotions. Students learn to use the rock guitar sounds on the iPad. Students create a jazz style piece to a given chord progression. Students use the sampler to create their own custom musical instrument. Students learn about the Erhu and Pipa, and use them in a composition. Students create their own loops using the live loops panel.composition. Students create a piece of music using live loops and nothing but the human voice. Students create a ringtone for a mobile phone from scratch. Students set a given four line verse to music with the iPad. Students use the beat sequencer to create basic drum patterns. Students use the beat sequencer to create more exciting dance drum beats. Students use drum sounds and synthesizer sounds to create a disco-inspired tune. Students work on their bass lines in this compound time rock lesson. Students learn about Jazz and Rock fusion styles in this fun lesson. Students learn how to use percussion and acoustic guitar sounds to create acoustic style songs. Students use the live loops method and the taiko sounds to create a new composition. Students learn about the Japanese Koto and use it to create their own composition. Students learn about the Chinese Guzheng and use it in their own composition. Students create one part of a composition, then share it with a friend who creates a second part, and then another friend completes the piece. Lots of fun! Students learn to record simple melodic phrases using musical typing. Students learn to enter a simple drum part and the important sequencing skill of quantisation. Students learn to use the drummer feature to create musical arrangements. Students learn to how to create simple, effective and musical bass lines for their music. Students are introduced to the loops library and how to use it to create musical arrangements. Students learn to how to create effective guitar lines using the Mac version of GarageBand. Students learn to how to manipulate the amazing choice of electronic drum sounds within GarageBand. Students create their own vocal rap style piece and record it into GarageBand. Students create a simple marimba piece based on repeated riffs, and optionally can perform it live using real instruments. Students create their own 12 Bar blues style piece and learn about swing styles. Students use the drummer feature to create interesting latin percussion parts. Students use prepared drummer loops to create a pop song. Students learn how to use the Chinese instruments on a mac, and transfer work from iPad to Mac. Students learn how to manipulate synthesizer sounds in GarageBand for mac to create interesting compositions. Students learn to use the arpeggiator synth sounds to create an interesting composition. Students create a soundtrack for a public domain movie clip. Students learn to punctuate dramatic moments in their music with cadence points. Students listen to some movie music and complete an assignment to learn from it, while they continue ongoing projects. Mac Lesson 19 - Movie Melody. Students compose melodies which reflect action or characters in a movie clip. Students complete a full movie scoring project for assessment. Our simple to use online interface makes it easy to access all lessons from our classroom interface, so that students cannot get distracted with other videos during their lessons. You can also access all student assignment sheets via the link below each video. The student assignments also have a youtube URL on them, so that students can reference the video and work on the assignment for homework if desired. The directions are so easy to follow. I can show these assignments on my smart board, and the kids understand what they are to do. I also print these instructions out so the students who get in an area of the room with less distractions have their own copy. ALL of the assignments are excellent and great musical lessons for my students. I am new to teaching music and using garageband. This was a fantastic way for me to learn about all that garageband has to offer and how I can break it down and teach it to my students. I love the student assignments and look forward to using them! Thank you for offering this fabulous online training! Students have these devices in their hands today. Its up to us to make sure that we're familiar with what they can do! If we really understand this and can utilize these tools this gives us a fantastic bridge to our meet our students where they are at. 60 prepared lessons with classroom videos and assignment sheets! Remember this is NOT just a training! You'll walk away with 60 prepared lessons (50 from our previous trainings, plus 10 new ones created this year)... all with a student assignment sheets you can just print and hand out, plus short videos to show in the classroom. You won't have to spend hours preparing, you'll be able to "print and go" for these classes! *This is not accredited by any third party. Please check with your local education authority as to whether this meets their needs for professional development credits.